← Remembering my childhood, food and all! Nothing better than a bowl of nuts! 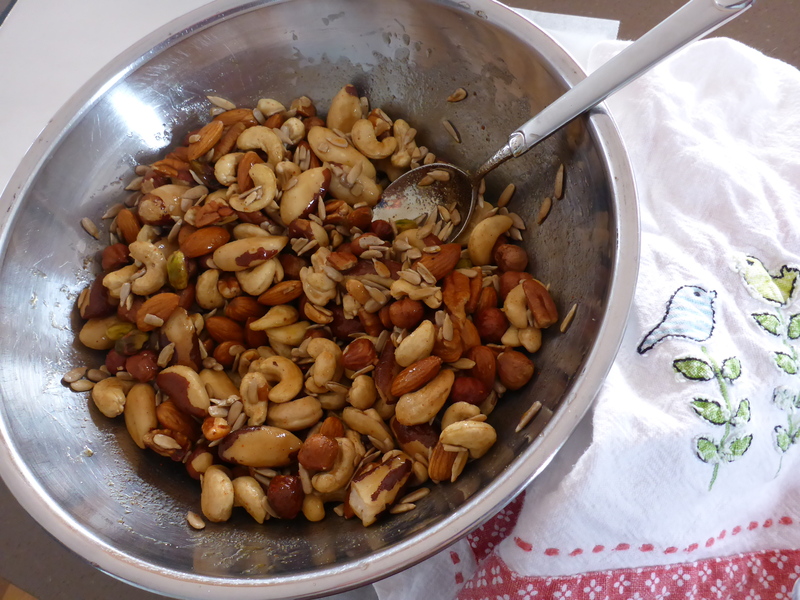 Method: Place nuts in a bowl and mix through. In a separate bowl mix together the maple syrup, brown sugar, spices and hot water. Stir the wet mixture through the nuts making sure the nuts are well coated. Nut mix ready for the oven. Spread onto a baking sheet which has been lined with baking paper (this makes for easier clean up and less sticking). 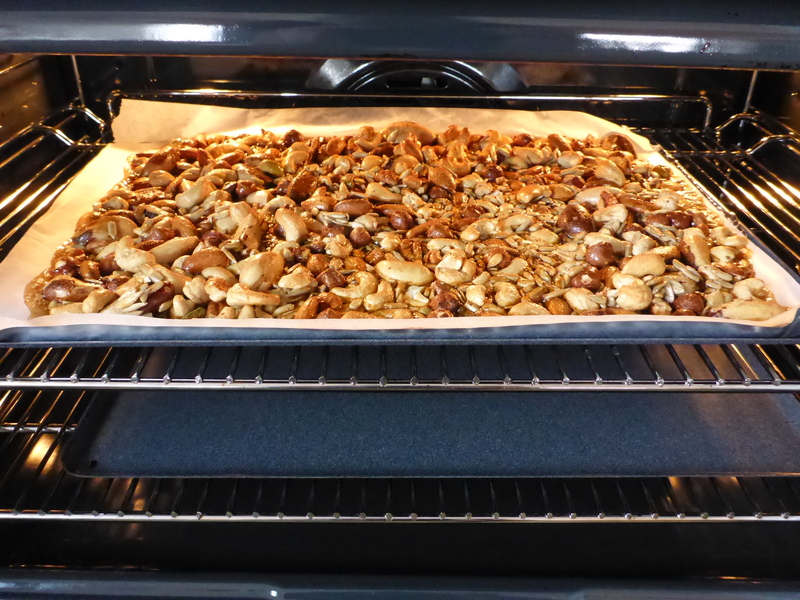 Make sure the nuts are in a single layer on the baking sheet so they cook evenly. Layer nuts evenly on a baking tray lined with baking paper. 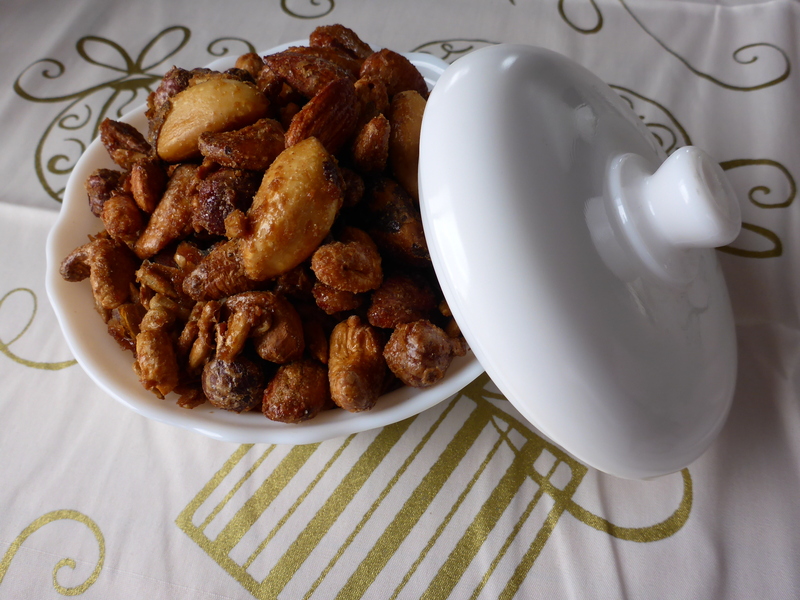 Place nuts in preheated oven and bake for 15 minutes. 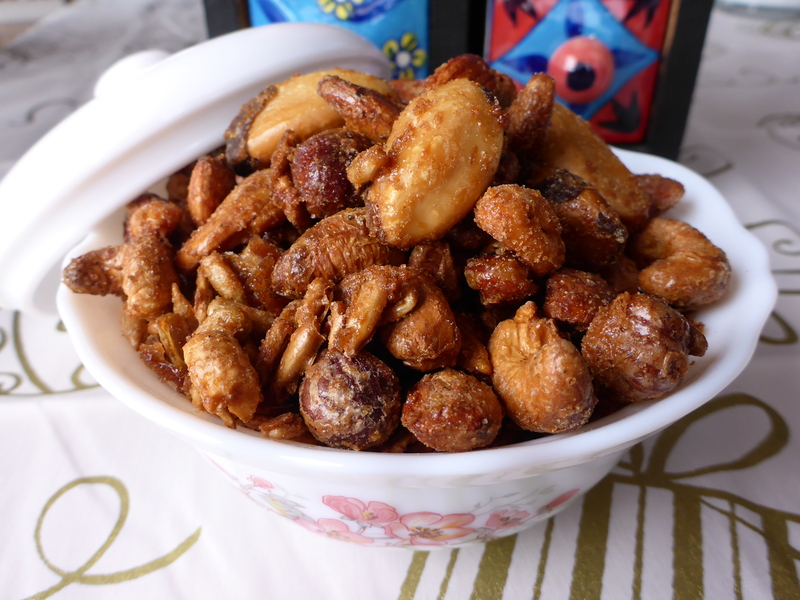 Remove from oven and with a spoon stir nuts around, being very careful as mixture is hot and sugar can burn. Again make sure the nuts are in a single layer on the baking sheet. Return to oven for a further 10 minutes. Keep a close eye on the nuts as they can burn and become bitter quite quickly. A single layer baking in the oven. Once golden and cooked remove tray from oven and let cool before breaking up and placing in an airtight container. 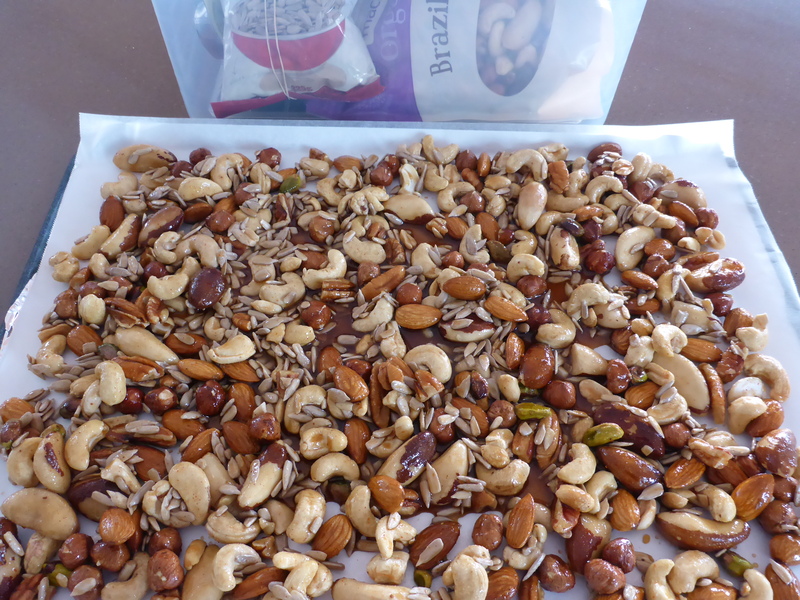 Hints: Use the nuts and seeds that you love as they all work well in this recipe. In the last 10 minutes of cooking keep an eye on the nuts as they can burn quite quickly, which will then make the nuts bitter. Play with the spices you like. I like my nuts a bit hot so will put extra Tabasco in them. You can put various spices in so have a play with the flavours. Divide into small ziplock bags and include some chopped dried fruit, sultanas, dried cranberries and currants for a great snack. This entry was posted in All those other recipes! (Salads, Sides and Snacks), Home, Recipes and tagged Food, Maple Syrup, Nuts, Snack, Spicy, Sweet. Bookmark the permalink.